You have just discovered an unforgettable voice to tell your compelling story! Enjoy rich depth and bass of deep textures and tones in your very own project. 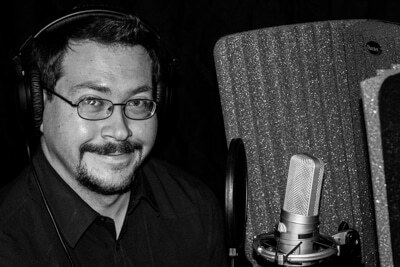 Jeremy is an engaging voice talent because he’s so engaged with his creative process and product. Jeremy has a big baritone sound while delivering commercials and narratives with a quiet strength – it’s an unusual and unforgettable combination. Jeremy is a delight to work with - he cares – he’s smart and he’s super talented. to your studio to work side by side.